DOVER, Del. 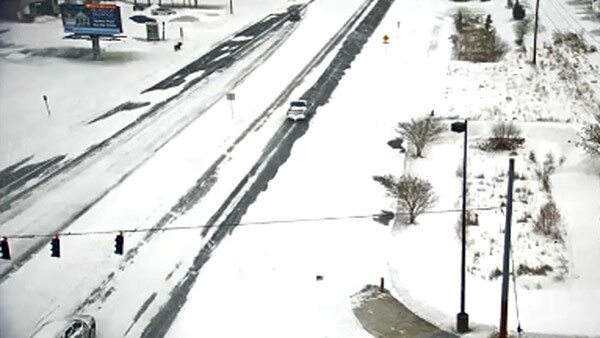 (WPVI) -- The governor of Delaware has declared a state of emergency for Sussex County following the nor'easter that hit the area. That declaration came with a Level 2 Driving Restriction countywide, which means only essential personnel are allowed to be on the roads. "This is a serious storm, and Delawareans across Sussex County should stay off the roadways as conditions continue to worsen," said Governor John Carney in a statement. "That will help personnel from the Delaware Department of Transportation more effectively clear the roadways, and help us provide services to our neighbors most in need." Carney also authorized the Delaware National Guard to assist state and local officials with any necessary response and recovery.